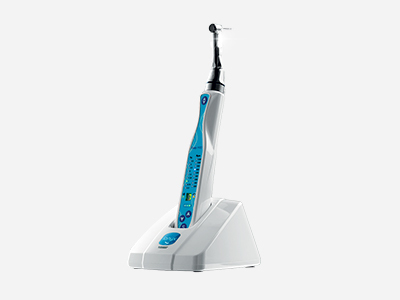 The flagship product of the IONYX range, the Endy 6200 combines both a micromotor and an apex locator. This product, which is a real workmate for any general practitioner using it, is equipped with a system for returning to slow speed enabling you to disengage the instrument without pushing dentine debris back towards the apex. It also has 12 onboard memory settings, enabling you to programme that number of speeds and torques adapted to each file used. Its compact, perfectly balanced motor, enables optimal familiarisation for completely safe use with full peace of mind. 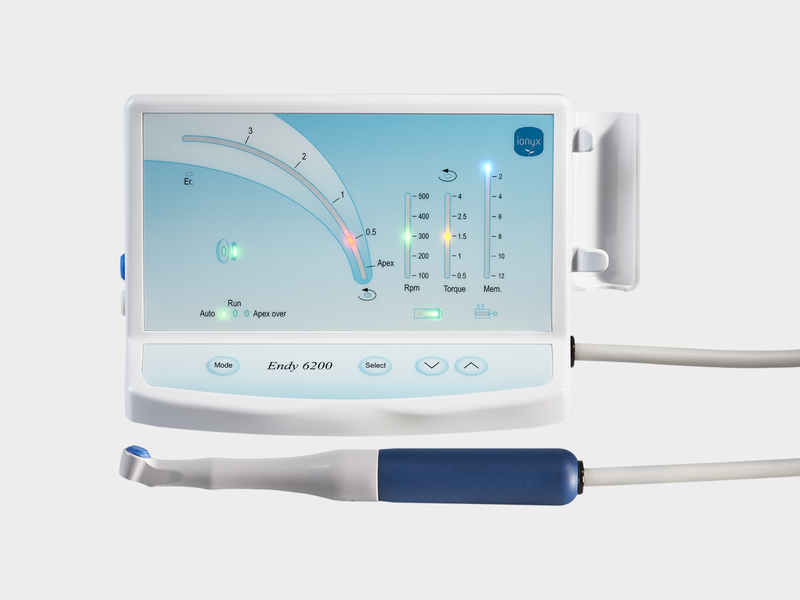 Equipped with the same disengageable system for returning to slow speed as the Endy 6200, the Endy NT2 also enables you to disengage the instrument without pushing dentine debris back towards the apex. Thanks to its integrated white LED beneath the contra-angle handpiece, the operating field is optimally illuminated without casting any shadows that may adversely affect visibility. 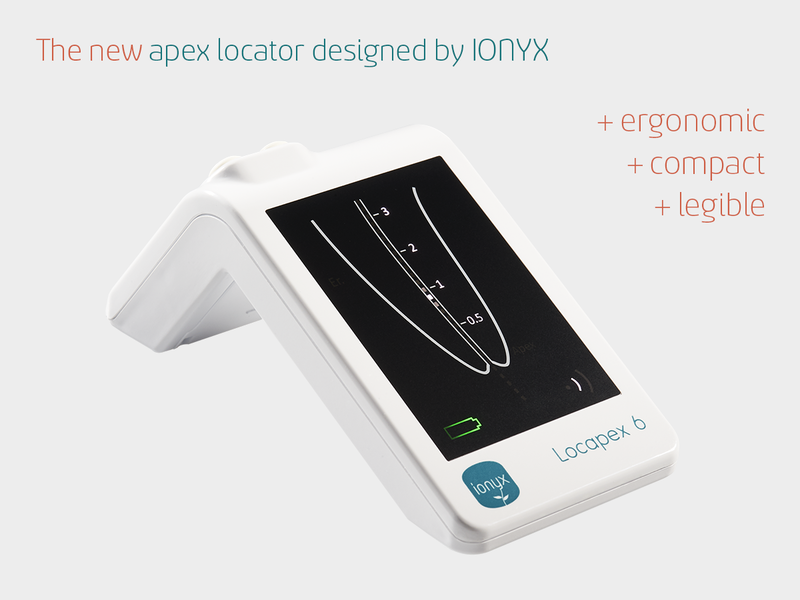 Thanks to its fully digital, instantaneous measurement, combined with a visibility angle greater than 160°, the apex locator, designed by IONYX, is a real boon for any general practitioner seeking adevice that is efficient and precise. Familiarising yourself with it is easy and intuitive, with only the press of a single button being required to start up the device. Find all the spare parts for these products at our on-line store.